The right-of-way is the section of land that lies between county roads and the homeowner’s property. The right-of-way is owned by Camden County and maintained by the Horseshoe Bend Special Road District; its purpose is to allow for road maintenance and other improvements such as drainage structures and signs. Homeowners are encouraged to check the drainage structures periodically to help ensure they are clear. If you notice that the culverts and /or ditch lines need clearing, please contact our office. Generally, the right-of-way ranges from 2’—10’ from the edge of the pavement. If you are not sure if you will be in the right-of-way, contact our office and we may be able to assist you. Surveying your property is the best way to know where your property ends and the county’s right-of-way begins. Parking in the right-of-way is discouraged. Vehicles must remain off of the fog line (the solid white line). Storage of vehicles (including trailers) of the right-of-way is prohibited. Absolutely NO PARKING where signs are present. Any improvements, landscaping, equipment, or personal property (including mailboxes and trash enclosures) permitted to be placed on the county’s right-of-way are subject to removal by the Road District is necessary for the purpose of widening or maintaining the road. Further, the Horseshoe Bend Special Road District #1 shall not be responsible for any damage to or destruction of any such items from any cause whatsoever, by any person, persons, or organizations including the Horseshoe Bend Special Road District #1. Any work on the county right-of-way requires a permit from the Horseshoe Bend Special Road District. Trash enclosures—Homeowners should make every effort to have their trash enclosures located on their own property. The Road District notices that this is not always an option and will work with individual homeowners. 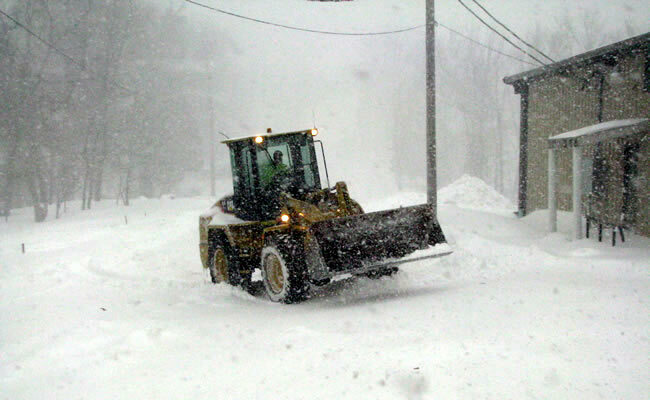 Mailboxes—Mailboxes need to withstand the force from snow coming from snow plows. The Road District recommends using steel (see images below). 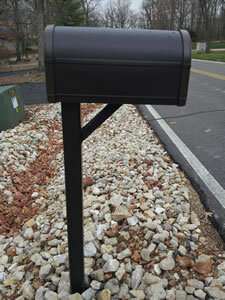 The Road District is not responsible for any damage to mailboxes. New driveways or improvements to existing driveways. Permit Applications may be found below. Please fill out and return to our office. Permits are available at no cost and are good for 10 working days. Please contact our office with any questions. Burn permits are required from the Lake Ozark Fire Protection District. You may call 573-365-6407 to obtain a permit. They must be obtained of the same day of burning. More information can be found here. The Road District allows leaf burning in the ditch as long as it is at least 3 feet from the asphalt. Burning directly on the asphalt is NOT ALLOWED. Piling leaves in the ditch is NOT ALLOWED and is considered illegal dumping. When precipitation is in the forecast, our crews are ready. The Road District makes every effort to keep the roads clear. For your safety, the Road District asks that the right-of-way remains clear during snow events. This means removing all personal property (vehicles, trailers, etc.) 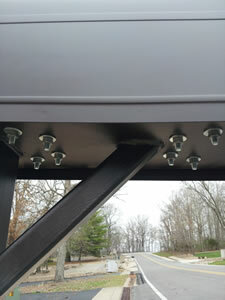 from the right-of-way to allow our equipment the best access possible. 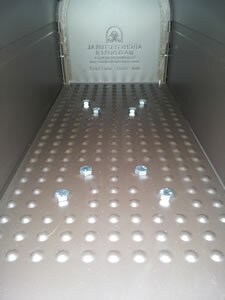 Non-stationary property such as mailboxes and trash enclosures need to be made of durable material to withstand the velocity of snow coming off the plows. Road crews work the primary roads first, then the secondary, and so on. Depending on the type of wintry weather, it could take time for the crews to get to your road; please be patient. If you have questions, please contact our office. Parking in the right-of-way is discouraged. Vehicles must remain off the fog line (the solid white line). Storage of vehicles (including trailers) on the right-of-way is prohibited. Absolutely NO Parking where signs are present.